We are located in North Lincolnshire, but our distribution range covers the UK, including the remotest parts of Scotland; which has helped build successful and long-lasting trading relationships with some of the country's most well-known building merchants. 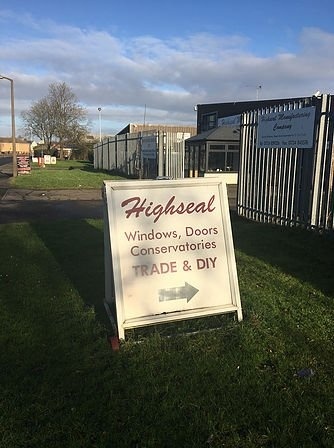 Highseal Manufacturing Company is an independent manufacturing facility based in Scunthorpe, North Lincolnshire, which provides a comprehensive range of PVC-u, aluminium and timber windows, doors, conservatories, modular external buildings, roofing structures and other home improvement products to the trade and domestic markets. Established in 2012 the business has grown year-on-year and now has an increasing number of associate traders, installers and blue-chip clients nationally. We are committed to quality excellence and operate under both the CE Marking and BSI Kitemark (BS 7412) accreditation, which means our products also meet the new Approved Document Q requirements. We remain focused on our clients' needs, whether they are standard or bespoke designs, and continually strive to deliver a friendly but professional service. Sustainability is also important to us so we invest in the development of our products to ensure alignment with current regulations and energy efficiency technologies.